The rumors of “warrior beasts” have fascinated your guild greatly. And just like with the warrior beasts, sins of envy and pride motivated the development of a new monstrous friend or foe. In your expeditions, you’ve discovered a thieves guild like no other. Their abilities to steal and plunder are greatly enhanced by capabilities not displayed by other rogues; the dread curse of the wererat! However, their strain is special and heavily controlled. With it, they can infiltrate and quickly annihilate, all without causing too much alarm… lest the subject be particularly terrified of rodents. 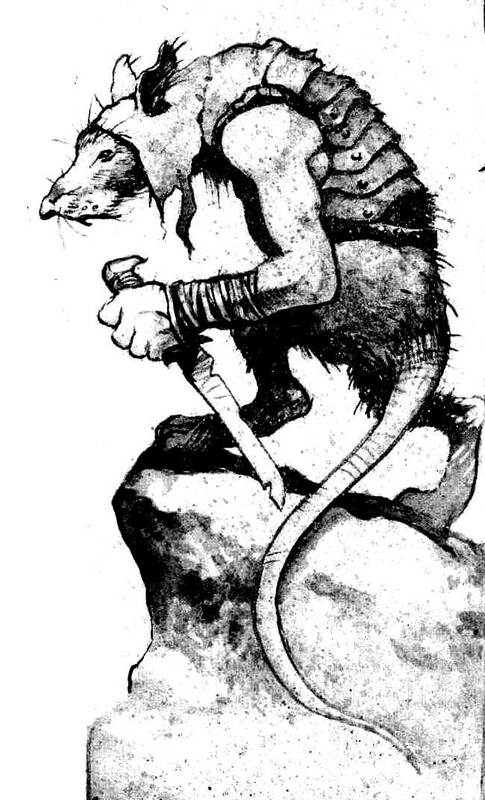 Unlike the warrior best, The Ratling Scoundrels hide to the shadows and remain as anonymous as possible. Were they to be discovered, their fates would be similar to the countless warriors who have either lost their humanity, their sanity, or both. As such, their cells are often subterranean or within hidden establishments like the rats they emulate. However, not all members are lowly street urchins and pick pockets! Some are well respected nobility who wish to get an extra edge against their competition or spy with the help of some friends. Either way, they face the same fears as the warrior beast, with the same amount of control. In fact, the scoundrels are to blame for countless disappearances… and growing numbers of rodent-like monsters. But, we’re here to talk about exceptionally lucky you! Your induction into the Guild of the Ratlings has begun. Steady now, your genetic code is being rewritten! Just hold on, and everything will be fine.